Dollywood’s Smoky Mountain Christmas presented by Humana has long been known as one of the world’s best holiday theme park events. 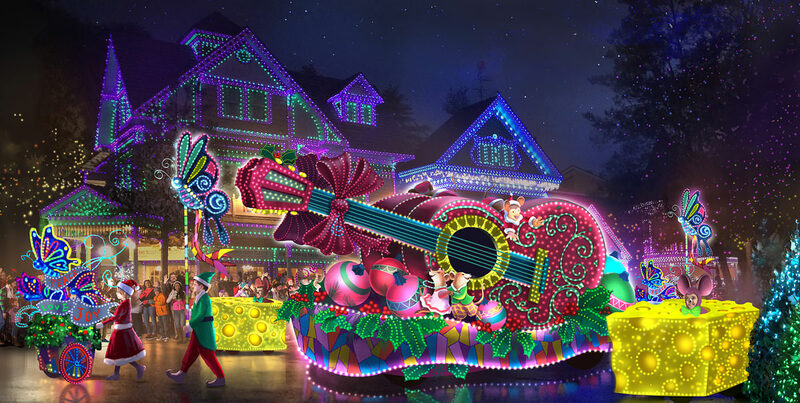 Dolly Parton unveiled plans for an awe-inspiring new parade—dreamed up as only she can—which will add even more excitement to this family-favorite festival. Dollywood has added two days to its calendar, December 6 and 13, to provide guests more time to experience the eight-time winner for Best Christmas Event. One of Dollywood’s greatest entertainment offerings is remastered in 2016, as “Christmas in the Smokies,” returns to its traditional home at D.P.’s Celebrity Theater. Guests can celebrate the joy of the season while a cast of singers and dancers performs hometown holiday favorites while accompanied by a band of live musicians! Dollywood’s entertainment team brings a Christmas classic to life with the debut of “It’s a Wonderful Life.” Based on the timeless holiday story of love and generosity, small town businessman George Bailey discovers the true value of life, family and friends with a little help from his guardian angel, Clarence. Dollywood’s Smoky Mountain Christmas begins November 5, 2016. Preview image courtesy of Curtis Hilbun.